From oak style to yeast strains and everything in between, no attention to detail has been spared with these wine making kits. The finest 100% pure varietal grape juice and juice concentrate is obtained from area specific, world-renowned grape growing areas. 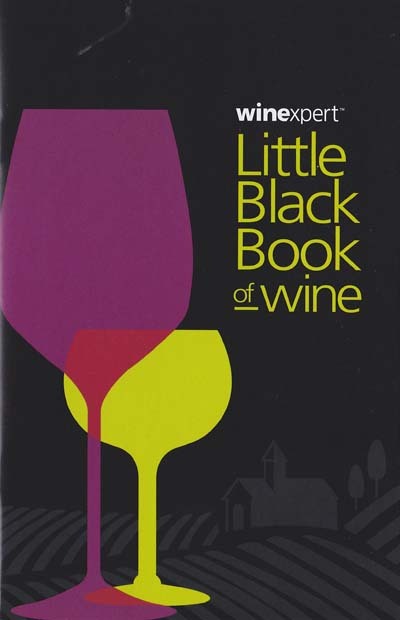 Eclipse has the highest single strength juice and varietal content of any Winexpert wine kit, past or present. Added grape skins on most of the red wines as well as changes in oak and yeast processes on some styles ensures Eclipse wines are comparable to the highest quality commercial wines, delivering outstanding varietal character, structure, aroma and complexity. Take your Red Wines to another level. Relatively new to this line of premium wine kits are selected wine kits that include a package of Grape Skins. These kits will have increased varietal character, bold flavors and aromas and full-bodied tannins, all in a wine that drinks well young and rewards patience. The addition of a grape skin pack enhances not only the body, mouth-feel, tannin and color of the wine; it does so without increasing the need for extra ageing. Great care is taken to perfectly balance the acid levels, pH, sugars and tannins to produce a wine of excellent quality without all the guesswork. While fermentation is complete in 8 - 10 weeks, Eclipse Ultra Premium Wine Kits will deliver rich, full-bodied wines with superior color, complex flavors and distinctive aromas in 8 - 12 months, and improvement for several years under good cellaring. All wine kits come complete with Fresh Varietal Grape Juice and Varietal Grape Concentrates, Yeast, Clarifiers, Stabilizers, Oak and Other Additives appropriate for the style of wine. Exciting News! 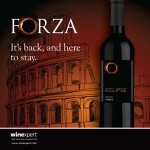 In July of 2015, Winexpert brought us Eclipse Forza, the first in a series of annual ..
Aromas of robust blackberry, peppercorns and smoked meat. Full-bodied yet smooth with big, dark pepp..
Redolent with heady perfume and the aromatic fragrance of lychee, tropical fruit and rose petals. Fi.. The undisputed champion of Italian reds. Medium-heavy in body with a luminous dark cherry color. Bur.. Finally, an Ultra-premium California Cabernet worthy of the Eclipse collection. Direct from th.. Harvested from the highly regarded Stag's Leap district on the valley's East bench, this Merlot is d..
Marlborough has the sunniest, driest climate in New Zealand, and the Wairau Valley's rich soils comb..
A fresh, well-balanced wine with typical Chardonnay characteristics of tropical citrus aromas and fl.. 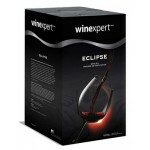 The WinExpert Eclipse Sonoma Valley Pinot Noir wine kit has silky tannins carrying notes of truffle,.. The juice that comes from this areas grapes is delicate yet complex. It offers a pronounced ri..
Washington Pinot Gris offers fresh aromas and flavours of ripe honeydew melon and crisp green apple ..